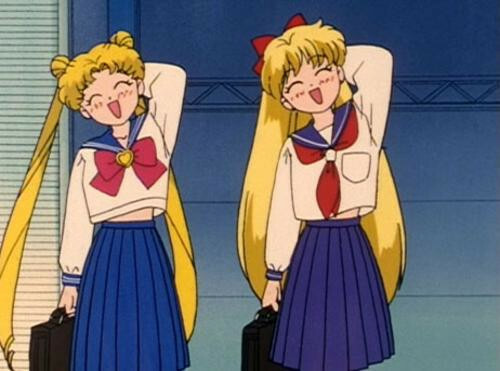 One of the odd peculiarities of the co-existence of the shared universes of Code Name: Sailor V and Pretty Soldier Sailor Moon is the fact that despite Sailor V(enus) being the first Sailor Soldier to make an appearance, she was the last one to join the team. Not only that, but despite having been the self-proclaimed Sailor Venus,1 she further claimed that she was was the true heir to the Moon Kingdom – Princess Serenity. She not only has the crescent on her forehead, but the Crescent Compact2 to prove it. So what gives? Why was she the one chosen to play the role of the princess (and not Ami, Rei, or Makoto?) and, for that matter, why does she even have a crescent compact in the first place if she’s not even from the moon? To answer this question, we need to go back in time—almost 405 years exactly3 to the late fall/early winter of 1610, and to the observations of the planet Venus made by Galileo Galilei. Though the existence of Venus had been known to civilizations across the globe since time immemorial, one of Galileo’s greatest contributions to the budding field of astronomy gained through his observation of Venus was in his finding proof that the old geocentric model (in which the Sun, stars, and other celestial bodies revolve around the Earth)4 was provably wrong and that the heliocentric model (in which the Earth and other celestial bodies revolve around the Sun)5 must be correct. 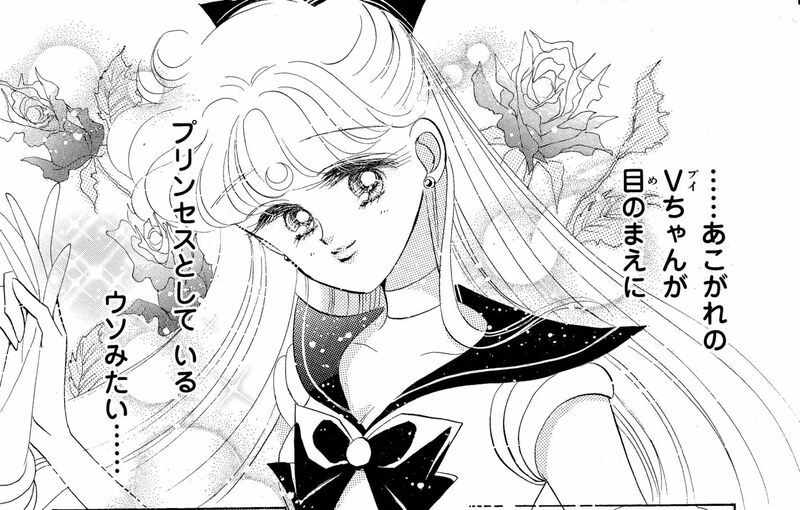 As for why Sailor Venus was the last to join the team despite the first to make an appearance, there could of course be many answers for this, but part of the reasoning behind that may also lie in her namesake planet: Venus is known both as the Evening Star and as the Morning Star, due to it appearing early in the evening shortly after the sun sets and preceding the sunrise in the early morning. This tracks nicely with her appearance in the Sailor Moon anime and manga, as she both preceded (Sailor) Moon and was the last to make her appearance. It’s unclear how much of the story Ms. Takeuchi already had planned out ahead of time before the one-shot release of Code Name: Sailor V in RunRun and when, a little over half a year later, Pretty Soldier Sailor Moon was first serialized in Nakayoshi, but considering all the work she went into putting together all the other mysteries of the series, there’s definitely a lot there to support a variety of theroies! ← Why Isn’t Minako’s Name Associated With Venus? The same ruse would be seen again in the Star Wars prequels with Queen Amidala and her handmaidens. So the mark on her head and her declaration of being the princess they sought were put in place by Queen Serenity long ago to be a last ditch effort to keep Princess Serenity safe should anyone come looking to harm her. I always thought it a serious piece of knowledge for Venus to know that should it come to it she has to die in place of Serenity. But I really do like your piece of info regarding the phases of Venus and it being the morning and evening star. I definitely think those play a role in how Venus was introduced. Oh, I definitely agree with you. That’s similar to what I always thought too, actually — it seems like Venus was meant to be something as a decoy for the Moon Princess from the very start. I really wish Ms. Takeuchi played around more with that idea (and the idea that Venus was actually the leader of the Sailor Team), but at the very least the tie-in between the characters and their designs (and with the concurrently running Codename: Sailor v) leads to a lot of interesting parallels! Very interesting article. 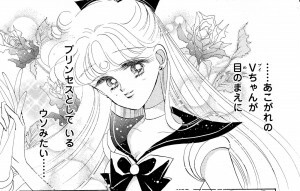 Though the question still remains as to why V has had a crescent moon on her forehead and a moon theme in general from before the story about the moon princess was more developed. I can only speculate it was a masquerade to protect her identity as Sailor Venus. It’s possible that, like her Crescent Compact, the symbol on her forehead is actually a crescent Venus. Just another theory! I get that the story is for kids, but I totally agree that there’s virtually no suspension of disbelief in most of the “big surprises” in the Sailor Moon series. Even just a few more episodes or an act in the manga of them treating Minako as the princess would have been nice. It all just felt too sudden. WOW. MIND BLOWN– seriously. I never thought of that… like, how Venus is the first star to appear in the last to go once the Sun goes up. It totally makes sense as to why she’s the first Senshi and the last to join the team! ♥ Loved this post! I absolutely love how well this fits into the series, especially when you consider that Sailor V was created entirely before the concept of Sailor Moon even existed. It definitely must have had at least SOME impact on how she made the story progress. The article was really interesting and I liked it, but as a Polish reader of your blog I must protect my country’s heritage and correct you that it was Polish mathematician and astronomer Nicolaus Copernicus who first introduced the heliocentric model of the Solar System, Galileo’s observations (in the next century after Copernicus’ discovery) only further proved it’s real. 1) The episode of PGSM where Venus reveals all of her fake tiaras. 2) The episode in Sailor Moon S where Venus pretended to be Moon. But what confuses me is that she used the Luna Pen to transform. Does that mean any senshi can use the Luna Pen or is it just because Venus is the decoy? Why didn’t she use her Crescent Compact? I’m curious to know your thoughts. I was just thinking about the pen the other day! I’m rewatching the series again, and when Luna first gives usagi the pen she says she (usagi) is the only one who can use it.